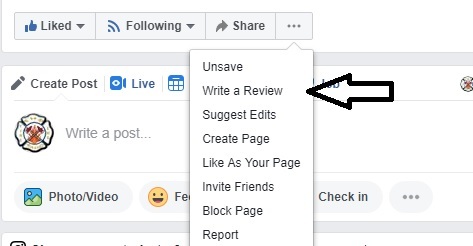 Please go to our Facebook page at : https://www.facebook.com/officialfhrradio/ , click on the 3 dots next to the word share, in the drop down menu click "write a review". For those that have done it, we truly Thank You. From: Barbara Milhem-Field, National Project Coordinator for the Grassroots Music Foundation and owner at BWC Records. FHR Radio is a wonderful station that opens doors for many up & coming artists. Not only do they support those in the music industry, but go out of their way to work with charities to better the lives of those in need. Orl is an exceptional individual as is the station. I’m proud to be a listener & fan! I absolutely love FHR Radio. FHR radio supports all up and coming musicians. Orl has helped my grandson by sharing his video’s,music page as well as other FB musician friends playing their music. I love this radio station,it’s fun,full of energy,great information always giving his listeners.Tune in, you will love it as much as I do, I guarantee it ! Nick Rothschild, Guitarist for South Florida Band "DNA"
FHR Radio brings great music to listeners of all ages. They are welcoming to the up and coming talent as well as those who are more established. It is great to have a place like this in today's world to be able to go to with confidence and know you will find something you will like. FHR Radio is a fantastic station promoting young artists. And we are truly grateful to Orl and everyone. They have been promoting our son Keelan over the past 3 half years. And letting people hear his music. Keelan is from Ireland and we couldn’t thank FHR Radio for all they do. I love what these guys are all about! And they help the indies get heard! Great job!! I love this station! Great music and well run! Orl Hernandez and FHR are one of the best in Independent Music Radio Stations. They are very very supportive of Independent artists, young and old. You want your music to have a chance to be heard? This station can offer you that possibility. Support for songwriters, vocalists, and even indy labels is given by Orl and his station. Thank you, Orl, for all you do for indy artists. I am one and I am very grateful for all you have done for me over the years. FHR Radio is well respected and loved in the music industry. Orl is a class act that will go out of his way to attend shows and help people in need. I’m a fan! I am Tim McDonald and I approve of this message! Tim, artist, singer songwriter, actor on ABC and CMT’s hit series Nashville and pianist for Olivia Newton John, Pam Tillis, Blake Shelton, Hank Jr, Mark Chesnutt, Buddy Jewel etc. FHR Radio Entertainment offers a wide variety of music to appeal to many listeners. My favorite part about this station is their willingness to support young, up and coming songwriters, and giving them a voice on the air. Thank you Orl for all your support to the young songwriters, for they are our future in music. I support them all and wish FHR Radio Entertainment much success in their endeavors. Orl and FHR Radio co-sponsored my fansite for American Idol Season 7 alum, Singer David Archuleta, for many years! I started promoting David when he was only 13-years-old, and when Orl and FHR came on board it was a TREMENDOUS help. Our website (the now archived Archuleta FanScene) was once voted the #1 David Archuleta fansite IN THE WORLD - and we couldn't have done it without Orl and the support we received from FHR Radio Entertainment! Many thanks, Orlando and team!!! 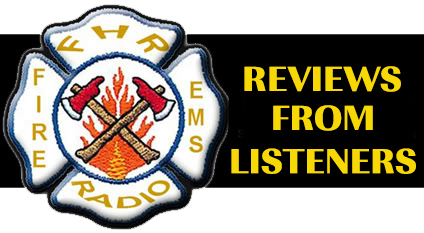 I am truly grateful for the support of FHR Radio. As a young singer/songwriter from Ontario, Canada FHR plays and promotes my music into the United States and across the interweebs. It was also awesome being a nominee in the FHR Rising Star contest this year. I know I speak for us all when I say we are blessed to have Orl's support and generosity. Thank you FHR! Love everything FHR Radio stands for and the tireless pursuit to find new young bands/performers and give them a platform to share their music. Thanks for the support and continue to do what you do! What a great radio station. They air the hard working up and coming artist so they get the airtime they so much deserve. I love listening to fhrradio.com great Artist Selection . Always keeps me dancing! Very supportive and incredibly nice. Highly recommended! Thank you for everything ! Entertainment a five (5) star rating. I have been a loyal fan for over 5 years now and will always highly recommend this great station an now growing music  endeavor. PS A special thank you Orl for giving my CD “RYAN ROCKS”, country/rockabilly from Asbury Park air play on your diverse and awesome  radio station. HUGE supporter of Indie Music. We are all loving the support. Music for all ages! New up and coming artists as well as established artists.